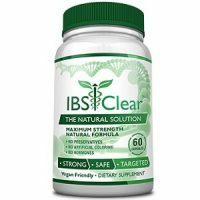 Consumer Health IBS Clear Review - Does It Work? 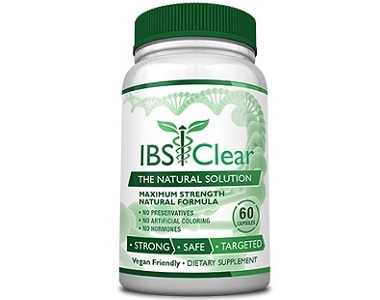 Today we review IBS Clear. Irritable Bowel Syndrome can have quite a significant effect on your emotional stability and also your lifestyle if you don’t keep the condition under control. While it is not always possible to eliminate the effects of IBS completely, it is possible to significantly reduce pain and prevent frequent IBS symptoms. 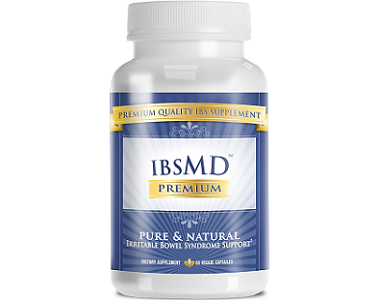 IBS Clear claims to get to the root of the problem whilst improving overall digestive health. This product also claims to relieve cramping, bloating and it fights constipation and diarrhea. If this product is something that interests you, read our review below. Vitamin D helps to ease the symptoms and pain of IBS and boosts the immune function. Psyllium is a soluble fiber that has been shown to relieve pain and constipation. Perilla, extracted from the Perilla leaf, has anti-inflammatory properties that help minimize pain in the gut. Peppermint helps to fight the effects of IBS by combating bloating, pain and diarrhea. Aloe Vera extract is known for its soothing and healing effects in the gut. It also has detoxifying characteristics. Ginger Extract contains powerful digestive enzymes. Fennel Extract has anti-spasmodic characteristics that also prevent gas formation. Turmeric reduces stomach muscle contractions and also relieves pain. Cumin helps to reduce all symptoms of IBS. BioPerine helps the body to absorb important nutrients to help fight IBS. Digestive Natural Enzymes reduces gas and bloating and supports overall digestive functioning. How Do You Use IBS Clear? It is best to take 2 capsules daily. It is recommended that you take the capsules after meals and that you take 1 in the morning and 1 in the afternoon. You can buy this product directly from the manufacturer’s website. Each bottle contains 60 capsules and can be bought in a variety of packages that offer a discount based on the amount that you buy. For 1 bottle you will pay $ 49.95, for 2 bottles you will pay $69.90, for 4 bottles you will pay $99.80 and 6 bottles will cost you $139.70. They also ship all of their products internationally. There is a 60-day money back guarantee if, for any reason, you find this product unsatisfactory. You can return all opened and unopened bottles to the manufacturer to qualify for your refund. There are no serious side effects associated with this product as long as you consume the recommended daily amount. If you are pregnant, nursing or you are under 18 it is advised that you first consult your doctor before taking this product. We like that this product has incorporated so many natural ingredients that are free of hormones, preservatives or artificial coloring. The fact that this product is vegan-friendly and cruelty-free shows that the manufacturers really went the extra mile in producing this product. Price wise this product is also competitive if you take into account the discount packages available. The 60-day guarantee speaks volumes about the confidence the manufacturers have in this product and it also ensures your money is spent wisely if you do decide to buy this product.